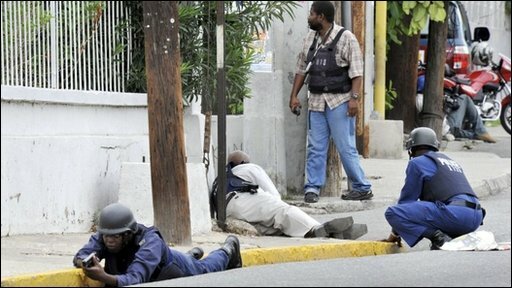 Dozens of people have died during fighting between police and gunmen in an anti-drug offensive in Kingston, Jamaica. The city has seen running battles between security forces and fighters loyal to a suspected drug trafficker sought by the US. The whereabouts of alleged drug lord Christopher "Dudus" Coke is unknown.